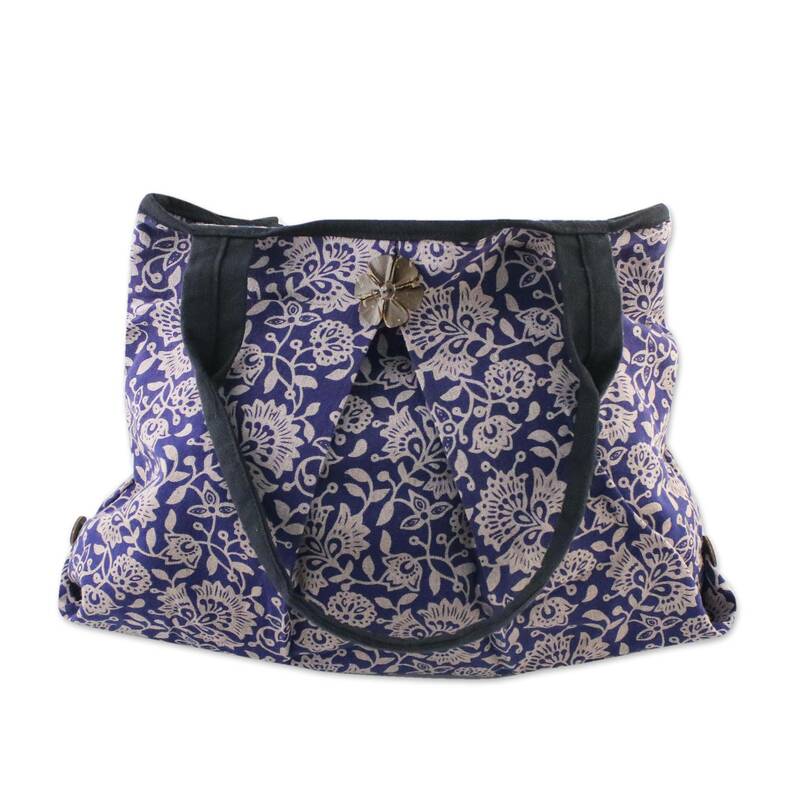 Crafted by hand of a blue cotton print, this charming shoulder bag comes from Russamee Thepphanakit. The Thai designer adds an ornamental coconut shell button. Fully lined, the purse opens to reveal two inner pockets. Artfully crafted by Russamee Thepphanakit from Thailand. "I still work with my best friend: my first and only one sewing machine, which is always clean and given proper maintenance!" "I was born in Sankamphaeng in 1953, and ours is a family of farmers. I have an older brother and a younger sister – I also had another younger brother, but he died from an accident in front of our house in 1974. My father worked in the fields, where I used to play, and mom was always weaving at home. I left school when I was 10 years old as was expected of girls in my village back then. "I started my first job as an umbrella frame maker, and I would give all my income to my parents towards the support our family, especially for the education of the younger siblings. I started sewing when I was 12 years old and tall enough for my legs to reach the pedals. Sankamphaeng is renowned for its silk and cotton, therefore girls are expected to know how to sew. I used to work at my aunt's place for a while, and then I decided to invest all my savings on a sewing machine. I took a dressmaking course in the city and started my own small venture at home as a custom dressmaker. "I made uniforms for career women like nurses, teachers and factory workers, and I also made casual outfits. Moreover, I also imparted a small dressmaking courses. "I met my husband when I was 18, and we married when I was 24. We moved to Mae Moh, Lampang province, and I became a full time homemaker. I continued with my own passion as a dressmaker in my spare time. My customers were our neighbors and the ladies who worked at my husband's place. I was always busy with my kids, so I had to stop when I had my third child. 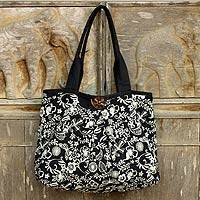 "The idea of making handbags came in 2008, when we moved back to my old town when my husband retired, all my kids had graduated and had their own professions, and I had no family expenses to worry about. I found out that people in the village continued sewing as in the olden days, but not the custom dresses like before. Mostly were ready to wear outfits for sale at the mall and were cheap and stylish. Government officers still needed tailored apparel, but it was really a small market. 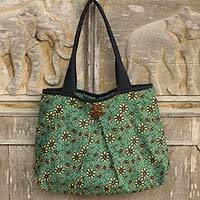 That's why I turned to making handbags, since there can be a variety of designs, uses, and beautiful styles. 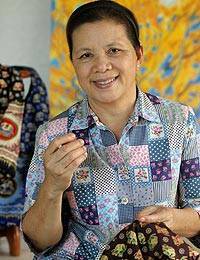 "I would like to share the traditions and culture of Chiang Mai with the world through my products. 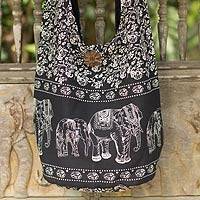 My designs perfectly merge legendary Chiang Mai styles with modern trends. I still work with my best friend: my first and only one sewing machine, which is always clean and given proper maintenance!"